The handicapped symbol is so commonplace it goes unnoticed… until we’re eyeing those desirable spots in a full parking lot. 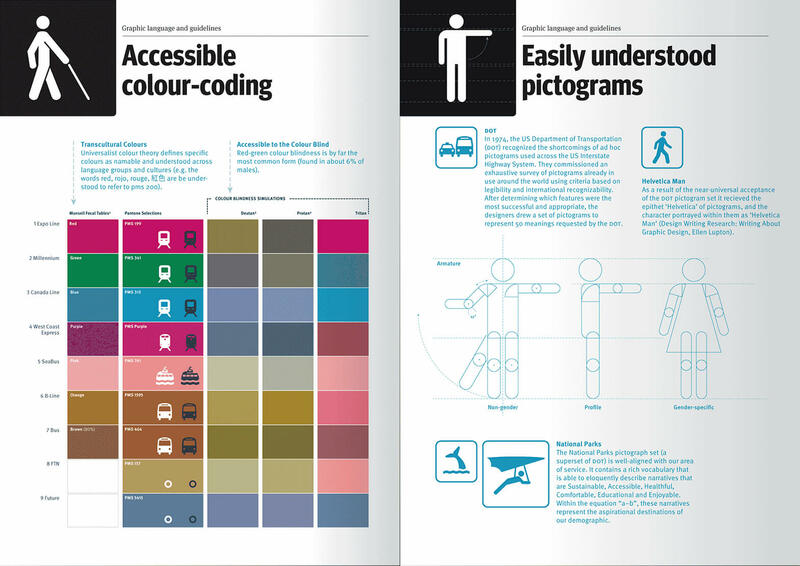 As a pictogram nerd, I not only noticed it, I thought it was worthwhile challenging the medieval concept of a ‘disabled’ person as a beggar. (1) A moniker coined by Ellen Lupton referring to a human figure from the 1974 set of pictograms created for the U.S. Department of Transportation (DOT). 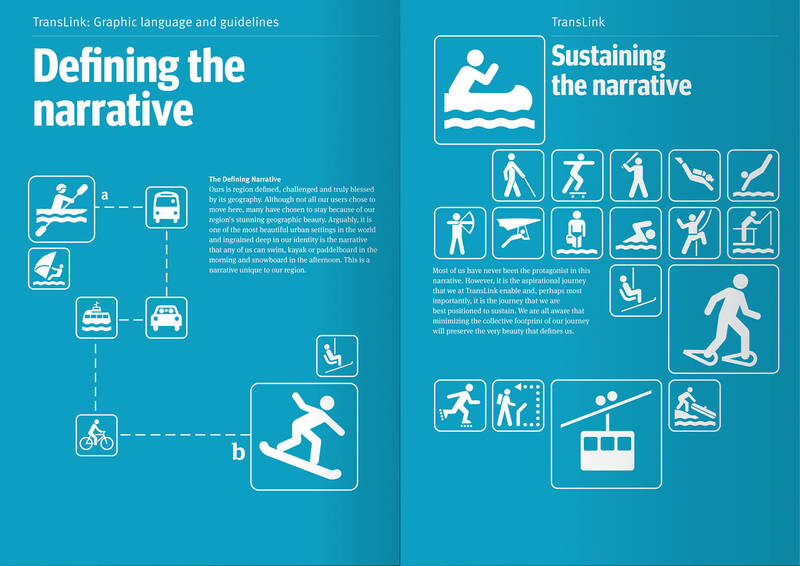 This pictogram set and the figure illustrating it is so universally recognized, subliminally understood, and expressly understated that any type designer immediately recognizes the merits in its namesake. 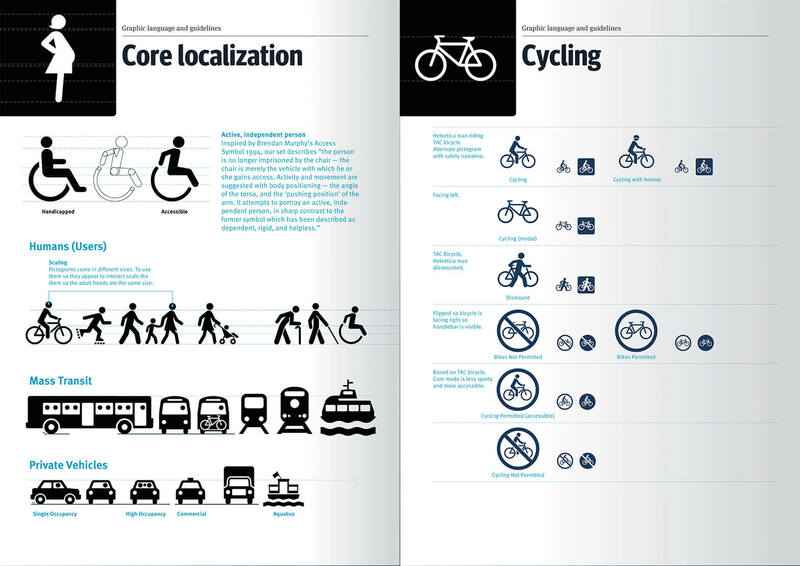 Visual Standards for Metro Vancouver’s transportation authority.